LIKE properly stored muffins in the fridge, The Muffinz band hasn’t lost its freshness despite not having released an album in nearly four years now. 2015’s Do What You Love was their last project, which was akin to their rebellious stage in how they experimented with their sound by simply doing what they love. “We’re growing and learning, but that comes from understanding you don’t know something until you’ve gone in and impacted a change in it…and we’re in making our change, but not as imagined, the force of being rebellious needs to be balanced out with wisdom to create love,” says the Muffinz’s Sifiso ‘Atomza’ Buthelezi. 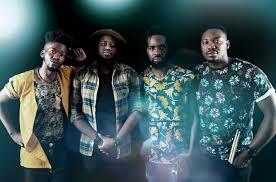 The band released a single earlier this year, Where You Are, which is a love ditty with strong elements of Naija’s afro beat, together with the Muffinz’s soul carrying it. When the song came out, fans expected a project to follow it. “We’ve been working with younger artists and publishing their songs, we plan on releasing that mixtape before our own album, that’ll come whenever we decide,” Atomza tells me. The Muffinz now have their own publishing and entertainment company, Aural Sense. They had the Where You Are tour this year which saw them hit various places. “Swaziland and KZN are always great, with us having four sold out shows in a single weekend. This shows the hunger for live music and change from the doof doof on the airwaves.” They also played at Wolf and Co in Tsakane. Today they’ll be in Tembisa’s Lekaneng Lifestyle Market. This isn’t part of the tour, since that was wrapped up in Nelspruit at the Casambo lodge. This will be the Muffinz’s first performance in Tembisa, despite Atomza saying they played Busy Corner in the past- the latter is technically not in Tembisa, but falls under Midrand. About a year ago the band held a farewell ceremony for their bassist, Karabo ‘Skabz’ Moeketse who decided to leave the group. They’ve had to adjust to life without the quiet Skabz, but have roped in a bassist for their recordings and performances, not a replacement. “The integrity of the music is what concerns us most. Our current bassist received lessons from Skabz and thus in a way, the mantle and power was transferred in the esoteric sense,” Atomza.